Home remodeling brings an exciting new addition to your house. 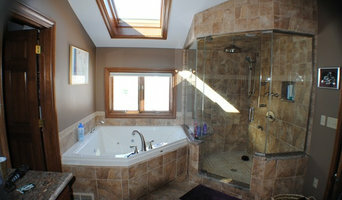 Be confident you are getting both exceptional quality and un-matched value by choosing a home remodeler you can trust. Locally owned and operated near Medina, Southern Cuyahoga, and Akron, Ohio, you’ll enjoy working with real people who have your best interests in mind. Whether you are considering a new windows, siding, roofing, covered porch or deck, kitchen or bathroom remodel, put Medina Exteriors & Remodeling to work! Our new 8000 square foot building makes it easier than ever to beautiful your home, with limited stress. Our team will walk you through your selections systematically to reduce your stress and help take away that overwhelming feeling. Give us a call and see why your neighbors have trusted Medina Exteriors & Remodeling for over 25 years. Innovate Building Solutions is a nationwide supplier of unique building products - including glass floors, high gloss acrylic walls, solid surface walls, waterproof laminate wall panels and shower bases, decorative DIY PVC shower tub walls and glass block showers, windows and wall systems. In our regional markets (which include Cleveland, Akron, and Columbus Ohio we also install glass blocks, bathtub and shower wall surrounds, replacement windows and entry doors. We also provide full bathroom, kitchen and basement remodeling services in the Northeast Ohio (Cleveland and Akron) markets. 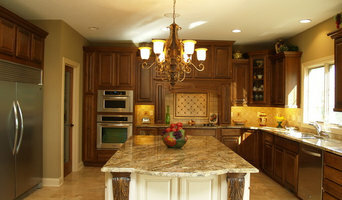 Somrak Kitchens is a kitchen and bath dealer specializing in custom cabinetry. As a full service dealer, we design, install and service the products we represent. John Hall / The Hall Design Group llc. Anyone who has worked with John Hall has always been impressed by his passion and unwavering enthusiasm for design. Directly after the completion of his interior design degree John jumped head first into the Kitchen & Bath industry. 27 years later he is still going strong. One element that makes John stand out among designers is his belief in using education as a tool. John has been offering design classes for the past 27 years to the Greater Cleveland community. He is also very active in area college interior design programs. As early as 1984 John has been recognized and awarded for his accomplishments not only in Ohio but all over the country.John is an Allied Member ASID ( American Society of Interior Designers) and won the 2005 Interior of the year award. He is also a member of the NKBA (National Kitchen & Bath Association) in which he holds the title of Certified Kitchen designer. 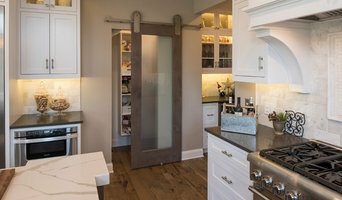 Lonny Levenson is an award-winning kitchen and bath designer located in Chagrin Falls. Lonny balances his traditional principles with a penchant for breaking the rules. The resulting spaces are incredibly unique and visually pleasing yet completely functional! Take a look through his project portfolio... the range of styles and project sizes speak for themselves. His design skills have been commended several times with multiple Cleveland Choice and North Coast Building Industry awards. For more than 35 years, Re-Bath® of Cleveland has helped homeowners convert worn, outdated bathrooms into beautiful new bathrooms with quality remodeling services. We believe that a remodel doesn't need to be a messy, expensive headache. Since our inception, we've pioneered an entirely new concept — to quickly and efficiently remodel your bathroom and shower with minimum disruption to you and your home so you can bathe in luxury.